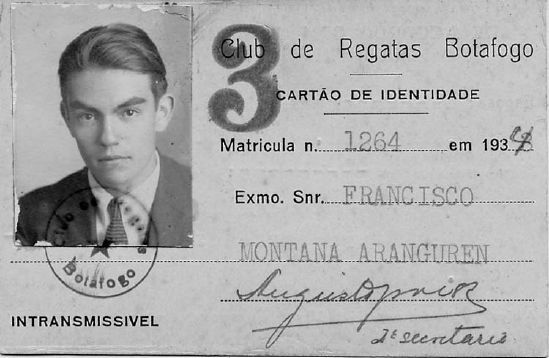 1934 Francisco or Paco, as he preferred to be called. 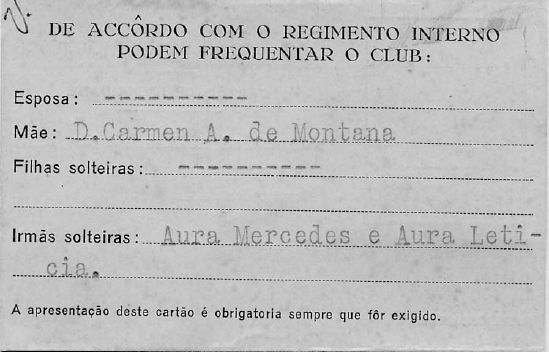 This is his Brazilian carnet for his first trip to Rio de Janeiro. 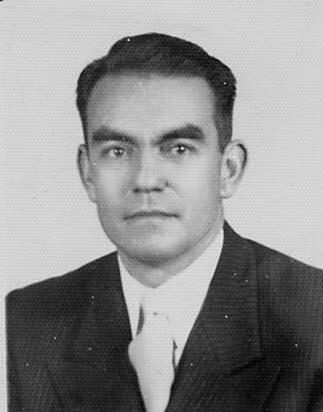 He traveled with Don Luis Cano, founder and publisher of "El Espectador," a major newspaper in Bogotá. 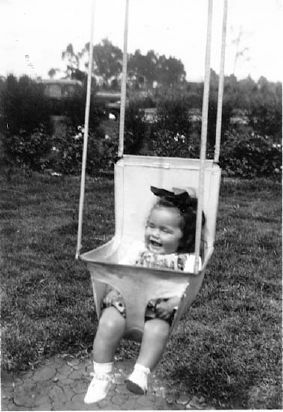 1942 Victoria at about 8 months enjoying the fresh air in Bogotá. 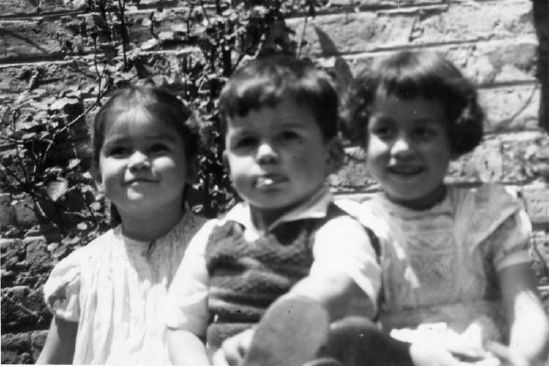 1946 From left to right: Cristina at 3, Mauricio, 2, and Victoria, 4, are in the backyard of our home on Calle 54 in Chapinero. 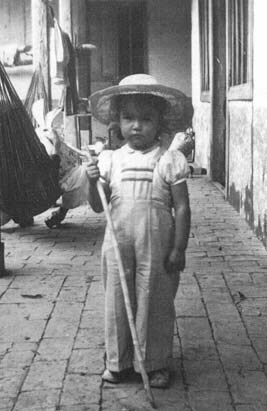 1948 Growing up we were lucky to visit fincas owned by family friends in Girardot, Fusagasuga, Simijaca, Armero, Zipaquira and Guatavita. These towns are located about 2-3 hrs. from Bogotá, in the valleys, where the weather is warm. All of us have special memories of these outings. There was so much to do. Cristina, with her walking stick, is ready for a trek. 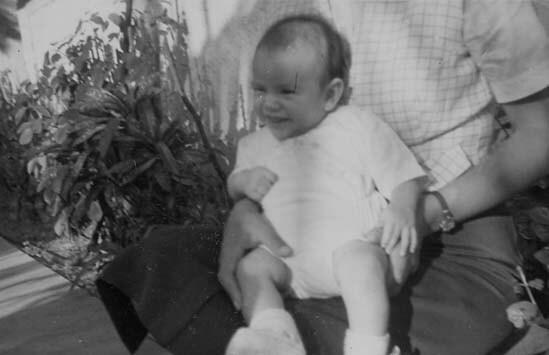 1949 Edgar is born in Racine, Wisconsin! 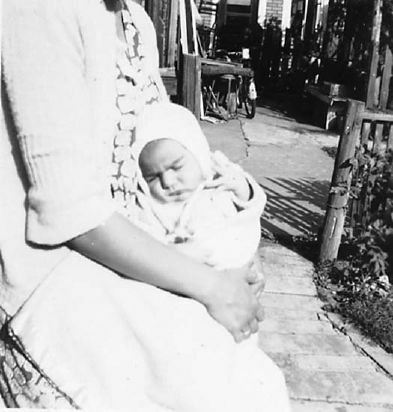 He is a few weeks old in his Mom's, Aura's lap. 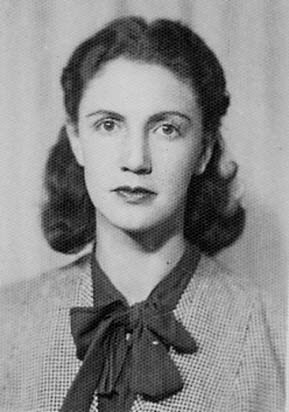 We moved to Racine, when Paco worked as an export representative for the Chiclet's (chewing gum) Company. 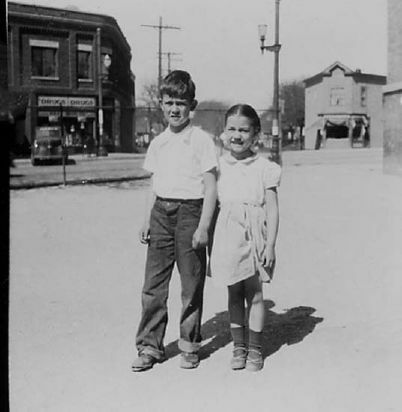 1949 Francisco, Jr. (Pacho) and Victoria strolling around downtown Racine. 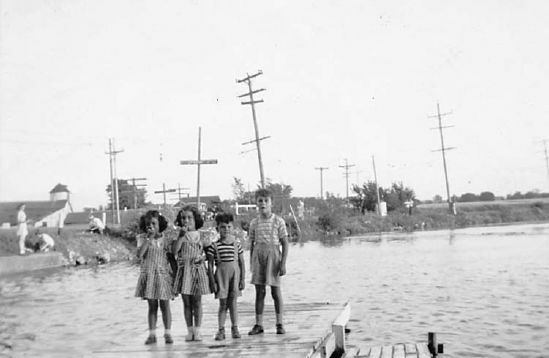 We attended Winslow School, which was located across from a large public park. When we experienced snow for the first time, we decided to stay in the park and play, instead of going to school. This did not last long, as the school was quick to notify Mom that we were missing. Our stay in Racine lasted 10 months, due to the frigid weather. 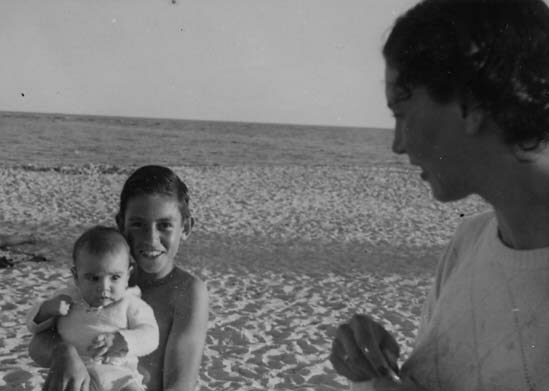 1950 L-R: Cristina, Victoria, Mauricio, Pacho on a pier next to the Magdalena River in Cartagena. 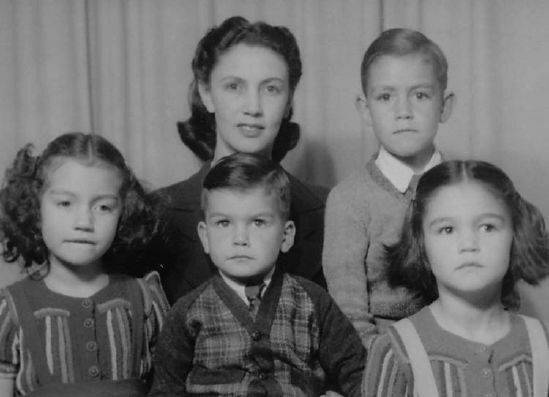 1950 Aura's Colombian passport picture with the 4 Colombianos. 1950 Paco, 35, Aura, 32, a handsome couple, indeed! 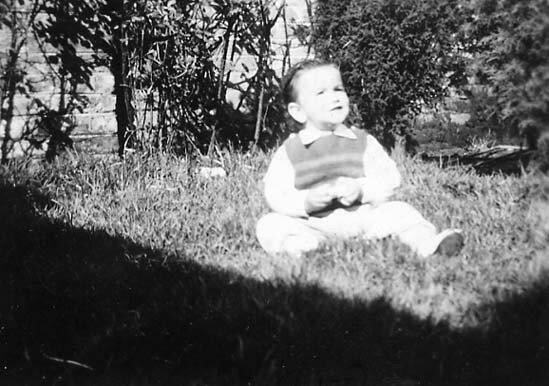 1950 Here we have Edgar looking his best in the backyard of Calle 54. We returned to our house on Calle 54 after our short stay in Racine. 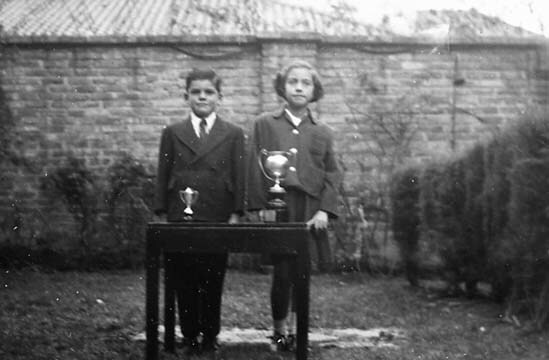 1951 Mauricio and Victoria with their silver cups for best effort, awarded by the Gimnasio Moderno and Gimnasio Femenino in Bogotá. 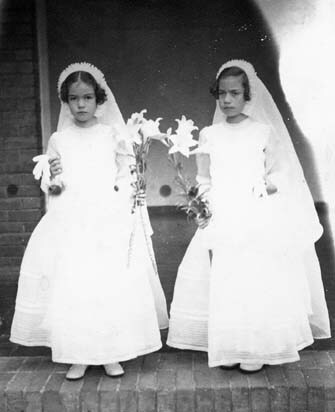 1951 L-R: Cristina and Victoria receive their First Communion at the Gimnasio Femenino. Our beautiful dresses display Mom's unique talent in sewing. 1952 We are back in the USA, in Miami, Florida. A new brother, Daniel, born September 4th, enjoys the sunshine with Mom. 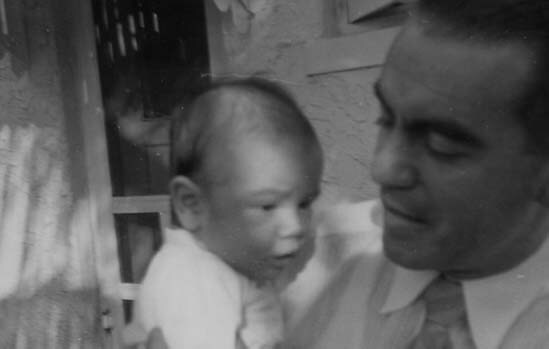 1952 A proud father shows off his new son in front of our first home on Aragon Avenue in Coral Gables. 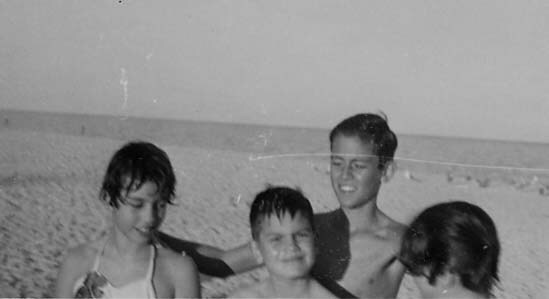 1952 Beach outings soon became de rigueur on Sundays. Some of our favorites included Miami Beach, Fort Lauderdale and Crandon Park. 1952 Mom enjoys a little relaxation with her 6 member crew. 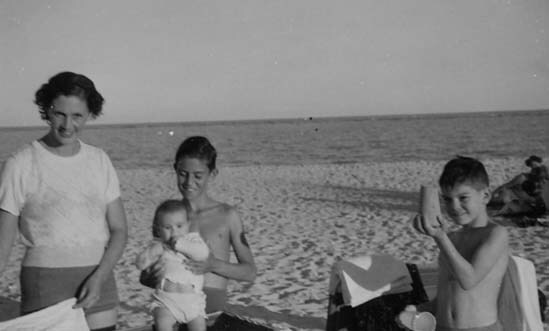 1952 Pacho holds Baby Daniel, under Mom's watchful eyes. 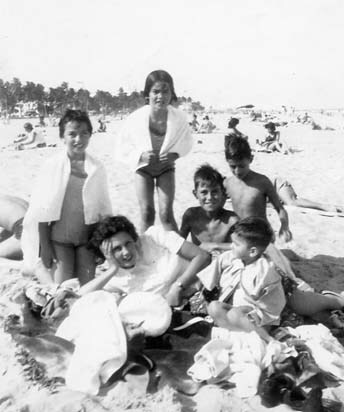 1952 Mom, shakes out the sand, while Pacho and Daniel stay close by. Mauricio displays his newest sand creation. 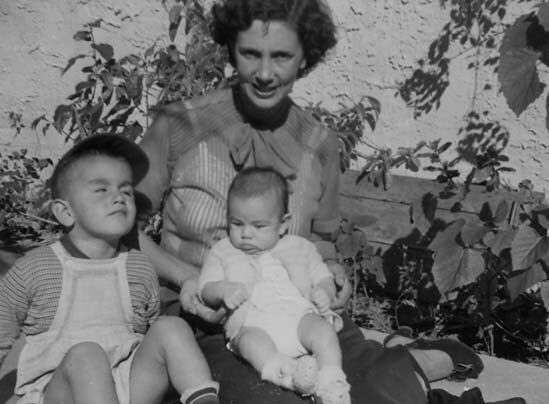 1952 Edgar and Mom with Daniel sitting in the floral backyard of Aragon Avenue. 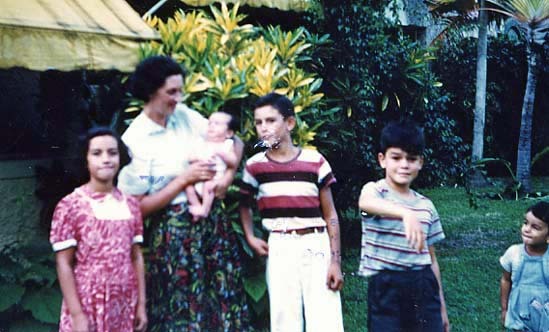 1952 L-R: Victoria, Mom with Daniel, Pacho and Mauricio. The yellow awning covered the front porch on Aragon Avenue.